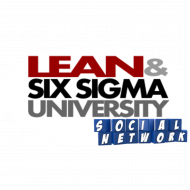 Lean Six Sigma Community offers the opportunity for anyone who wants to write, tell and create content, to become part of the Lean Six Sigma University project. Put on your passion, your talent and your time to spread awareness and bring out as much as possible the need for continuous improvement, the correct leadership, the need to use tried and tested tools for over 20 years. We are a market: The professional members of the community can promote and sell their products and services (training, presentations, etc).